Current state: Excellent. 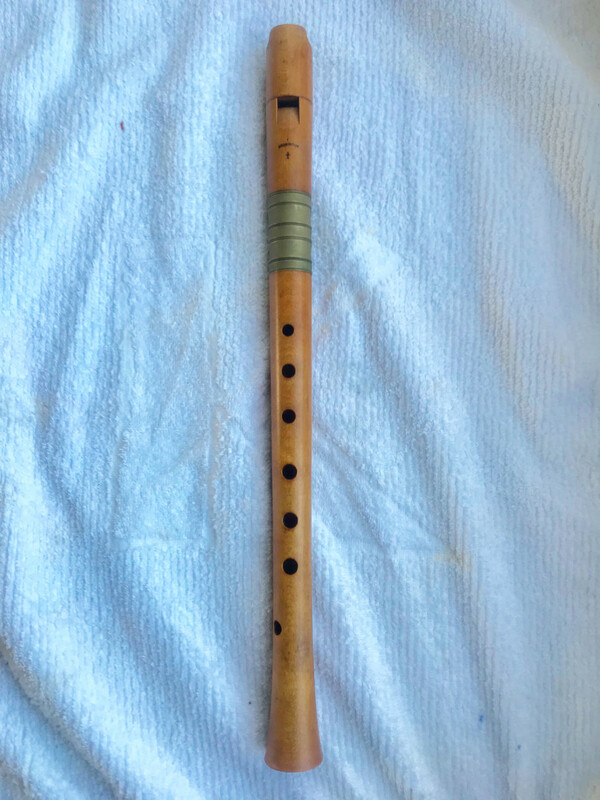 I bought this instrument from Fred himself, in 1978 when he had set up a workshop in Amsterdam and was teaching recorder making at The Royal Conservatory in The Hague. I myself was a teacher at the Conservatory between 1978 and 1996, which gave me, both, the opportunity to meet Fred and his wife and acquire this beautiful instrument. The instrument was made in the period after Fred completed his studies of originals in Italy and Austria. I was told that he made 102 (!) prototypes, before arriving at this model, which works with most of the fingerings in Ganassi’s Book of 1535. Unfortunately, Fred is no longer with us. Even considering the wonderful quality still produced by the Morgan Workshop, this is an excellent example of his work, which will only increase in value, both as an instrument and historically, as the years go by for recorder professionals, collectors, enthusiasts, and eventually, museums. The instrument has not been played in a while. However, the sound, dynamics of the voicing, and intonation have all remained solid! I realise that the price may seem high to some people. But, the number of existing instruments made by Fred himself, will not increase but decrease as time passes. This instrument was made during one of the most important periods of development of one, if not “the” greatest recorder maker of the 20th century. I believe both musically and historically, that the flute will prove to be an excellent investment in the future.